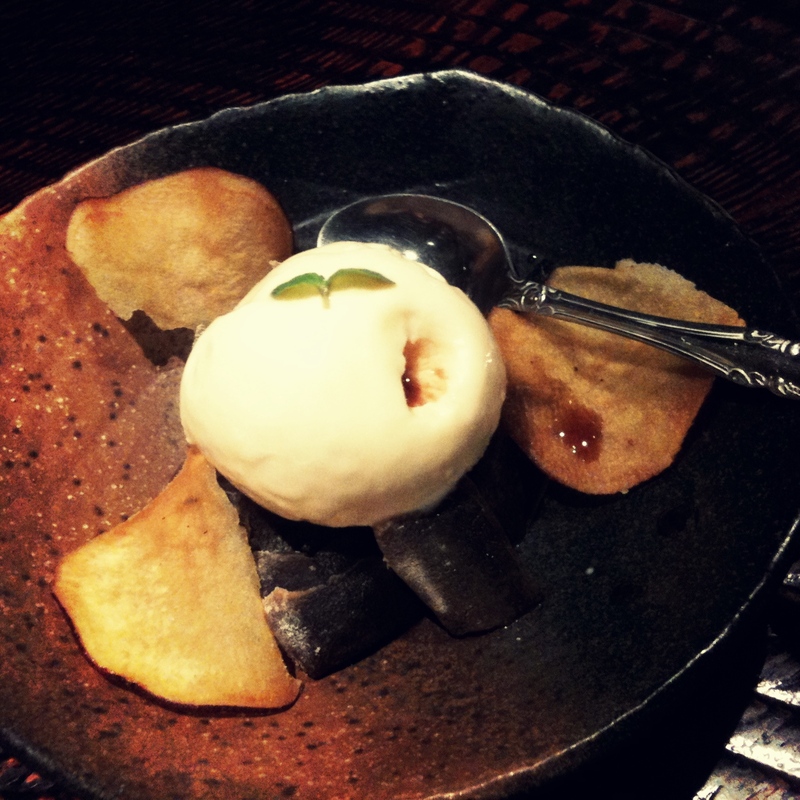 Coffee Mochi with Ice Cream – Where is Naoko? Coffee-flavored mochi dessert from last night after dinner, at a place in my neighborhood. It was my first visit there though I had been thinking about going in there for a while. The mochi, as well as the food and drink, was pretty good. I think I’ll be going back again soon. The owner of the restaurant told us that his eyebrows are so thick that his colleagues keep plastering fake eyebrows on stuffed animals in the restaurant. I liked that story too.